Corgis are intelligent, small dogs which are very adaptable to new environments. They are very alert and playful. They are highly sociable dogs with all people across the age groups. They are capable of making their own decisions. Due to these good qualities, they are very popular with breeders and pet lovers. They are also used as guard dogs due to their herding pedigree. The cost of a Corgi usually varies depending on several factors. There is no standard cost as ultimately, it will depend on the individual breeder and the location they are in. First, there are two different types of Corgis, the Pembroke Welsh Corgi and the Cardigan Welsh Corgi. Generally speaking, the Pembroke Welsh Corgi is slightly more popular than the Cardigan. So the cardigan may cost slightly higher than the Pembroke Welsh Corgi since not all breeders will have it. The second factor that may determine the cost of a Welsh Corgi is whether the Corgi is pure bred or not. Pure bred Corgis from reputable professional breeders usually require quite a few hundreds of dollars. They are usually priced within a range of $600-1000 depending on the breeder’s location and the quality of the breed. Some have even been sold for as much as $2000. If you want a Corgi which is not exactly a pure breed but a dog which can look very much close to Corgi, then you might have to pay something between $100-400. Speaking of location, shipping charges may apply if you buy outside of the state you live in. You will need to find an airline that provides this service. They will charge anything between $250-400 for it. Another major factor in determining the price of a Corgi is the age of the dog which determines the number of vaccinations it has received. If all the vaccinations were done already, then the breeder will add these extra costs to the buyer. Most breeders will give all the shots at the required time and it’s a good idea to confirm this before you make any purchase. Your Corgi’s health and safety should never be taken lightly. In fact, paying these vaccinations is cheaper in the long term since you might save money that could have been easily spent by visiting the vet for illnesses you could prevent. Professional breeders will normally offer a health guarantee which will last for one year from the year of purchase. As you might know already, Corgis have a double coat and shed all year round, though they only shed heavily twice a year. However, they need daily grooming to minimize their shedding. Therefore, when you are buying a Corgi, you need to take this into account. You’ll have to purchase grooming supplies or pay for a grooming service. These will be added to the other regular maintenance services that any dog would require such as food, shelter and heath. Compared to other breeds, Welsh Corgis could be characterized as low maintenance dogs. 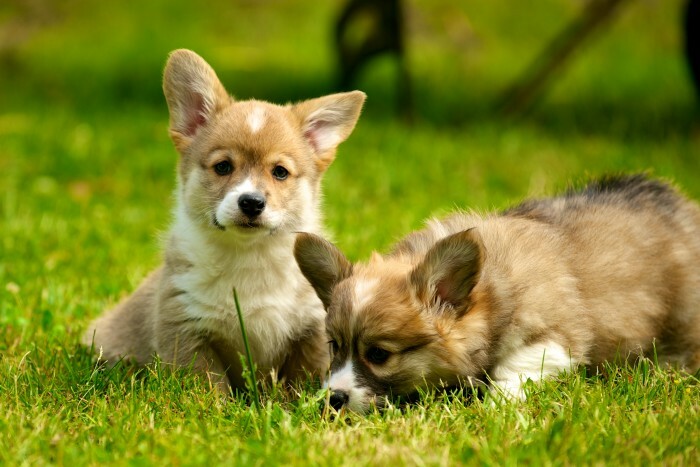 If you want to own a Welsh Corgi, either the Pembroke or the cardigan, you can easily find a breeder since they are many all over USA as well as in Canada or UK. Talk to the breeder about the specific Corgi you wish and gather as much information as you can. If you want a dog that you can take to dog shows, go for the highest quality possible. This unavoidably will mean higher costs for purchasing a Corgi. 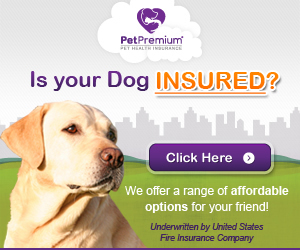 If it’s a family/companion pet, you can find a good one for less. You could even go to a dog shelter and identify an adult Corgi which you can get for as little as $100. Look for a corgi. Mix is fine as long as corgi attributes are present. I owned a beautiful male corgi and I have fallen in love with the breed. I can’t really imagine owning another breed. Keeping price low is important to me. I purchased our Pembroke Welch Corgi puppy as a therapeutic companion for my 13 year old son Kristian who is diagnosed with being on the autistic spectrum disorder . GizMo is our new four legged family members name, and we are truly blessed to have such a lovable and loving, puppy. He’s so sweet, fun and a very smart puppy. Kathryn that’s a great addition to your family. I’m confident that your son will love your new puppy and your puppy will love him back. My name is Aj Anderson my sister has a corgi and she is just a pup and her name is dally she is so cute and I want one to I think they would be good capans and I always make her do laps around are living room aka my name is Aj. Im looking for a pembroke welsh corgi puppy. But dont want to spend 2 grand on one😁 Can anyone help? There’s a breeder in Athens, TN who’s pups go for $1200! There’s also one near Chattanooga, TN who’s pups go for $800. I have a Pembroke she is 7 months old and I would be willing to sell her. I’m going through a nasty divorce and with working overtime and lawyer fees I can’t give her the attention and love she deserves. Id be willing to sell her for a honest good price. Oh im sorry to hear that. How much would you want for her? What state do you live in? How much would you want for her? Rehoming fee of $450. I want to to know you as much as possible. And I live in Kansas. Wow this website is slow to email. I just got an email 10/26/16 saying you responded back in Aug.!! Hopefully you’ve been able to rehome her by now. My wife and I were able to find a cute tri Pembroke back in Sept. Plus we live in the DC area so KS wouldn’t workout. How much would you want for her? Have you found a Corgi? I live in Tulsa Oklahoma. I have 4 AKC Pembroke Welsh Corgis. They are 4 weeks old and will be available in about 3 weeks. We are asking $1000. – $1200. per pup. We are paying $900 for our pup. Im interested in a corgi puppy very inexpensive. Just a family dog not for breading. I live in santa Barbara County 9and I am hoping to find a puppy local. I am looking for a Pembrooke Welsh Corgi on the North Shore of Oahu. Is there anyone close who has one for sale? Puppy or youngish dog?